We all want to get out and do more exercise, but sometimes the thought of heading to the gym is depressing. What we need is something in our lives that can help to keep us fit, but that doesn’t feel like a workout. That’s where rock climbing comes in, and here’s why you should head down to your local climbing center soon. If you’re trying to find something to keep you fit and the pounds off your waist, then rock climbing can really help you out. One of the best ways to stay in shape and lose weight at the same time is to lift weights, but that can be pretty boring and monotonous. All you’re doing is standing in front of a mirror watching yourself struggle to lift something heavy. When rock climbing you are forced to lift your own body weight repeatedly, which means you’re getting a constant workout on the wall. You will be getting stronger with each visit, and you’ll be impressed at how quickly you take to it. While some sports and activities are really fun to do, they are often weather dependent. It doesn’t matter what the weather is like when you’re rock climbing as you’ll be nice and toasty indoors, safe from the cold and wet. There are climbing gyms in almost every town, so it’s really accessible to most people. When on the climbing wall you can burn anything from 500 to 900 calories per hour, it all depends how much effort you put in! Some sports require you to buy a large amount of equipment before you get going, which puts people off. 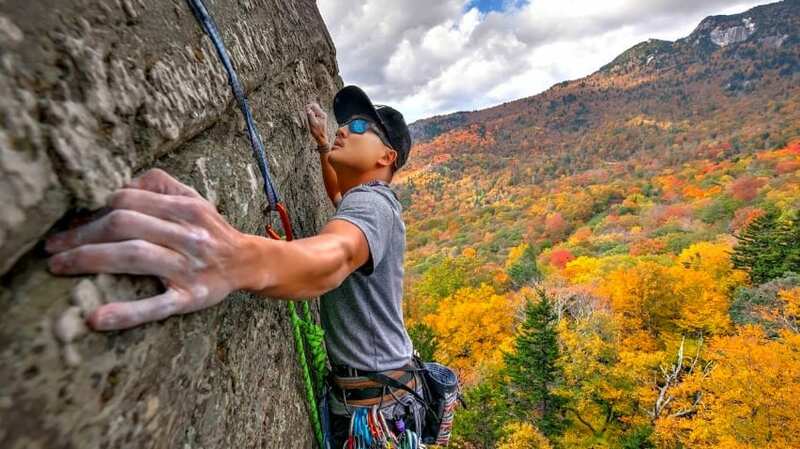 With rock climbing, you can hire the equipment before knowing if you really want to do it or not. Once you give it a try and are hooked, then you can look to buy your own kit, but rental fees are cheap when you’re getting into it. One of the best things about climbing is that you can never master it. 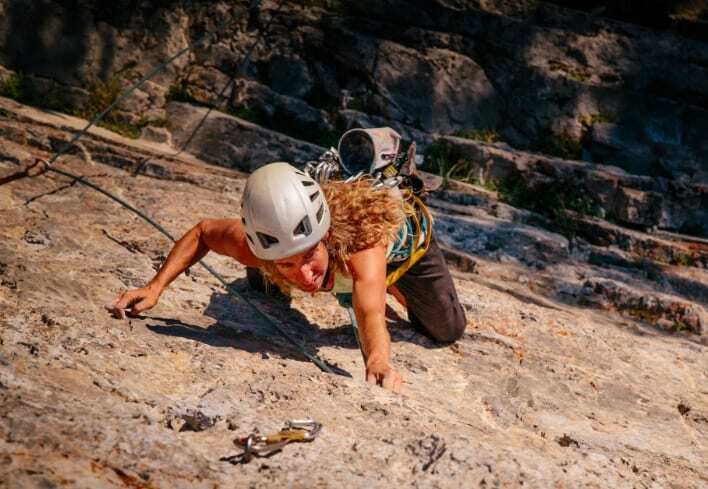 There are several different routes in a climbing gym that all require different levels of skill, so once you master one level, you move onto the next. At the end of every session, you will feel a sense of accomplishment as you reach the top of the wall. Working out at the gym can be lonely. Everyone is focused on their workout programs, and most people don’t have the time to chat. Rock climbing is more communal, and there will always be someone on hand to give you tips and advice. Many climbers work with a partner to provide advice about the wall they’re climbing, and it’s not uncommon to forge friendships. All you’ll need is a determination to get higher than the last time and climbing will become your new favorite activity. Climbing is unlike many other sports as you can do it alone but still have a blast, all you need to do is give it a shot!